1. Add oil and popcorn to a pan and put on the lid. 2. Turn to medium heat and wait for the corn to pop. 3. Once the kernels have finished popping, pour the popcorn into a bowl. 4. Add salt, thyme leaves and smoked paprika. 5. Gently turn and add grated Castello® Extra Mature Cheddar and stir again until the popcorn is covered in the cheddar and spices. 6. 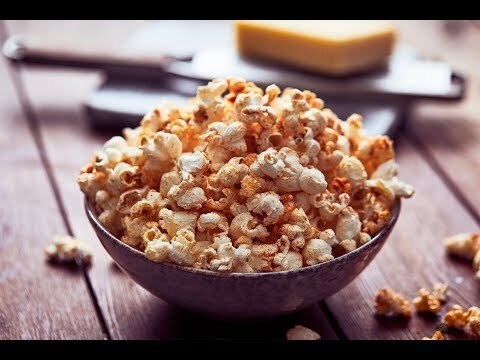 Microwave popcorn can also be used, just be aware if they are pre-salted, in which case, merely add smoked paprika, thyme and cheddar when mixing.